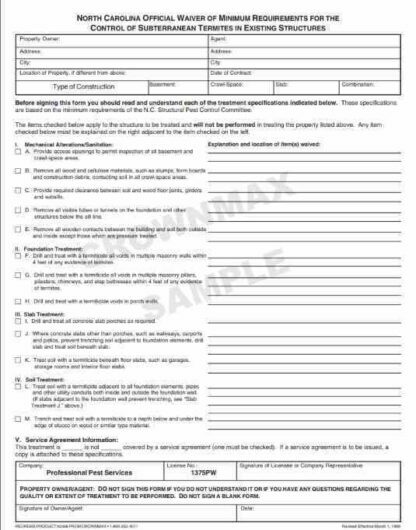 North Carolina Official Waiver of Minimum Requirements for the Control of Subterranean Termites in Existing Structures. 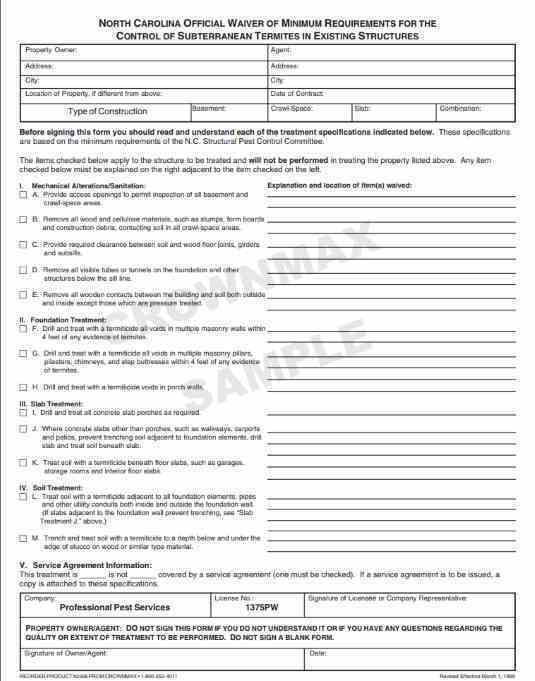 Information on state forms have been taken from original information obtained through pest control companies associated with the corresponding state. If you have any questions about its wording or use please contact your local Pest Control Association, State Office or Regulatory Board. Printed in Black Ink only on 2 Part Carbonelss (white and canary) paper. 50 Forms per package. Forms can be printed with you company’s information at an additional imprint charge.Make sure to choose quantites with “w/ Imp” for imprinted forms in the drop down price box below. 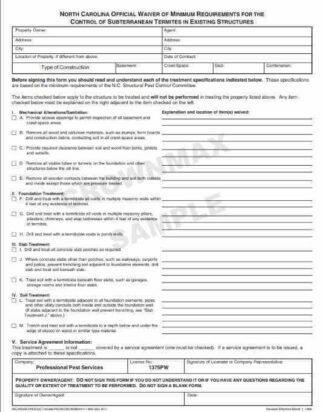 100 forms minimum for imprint. Also available in a 1 part see product number 2568.